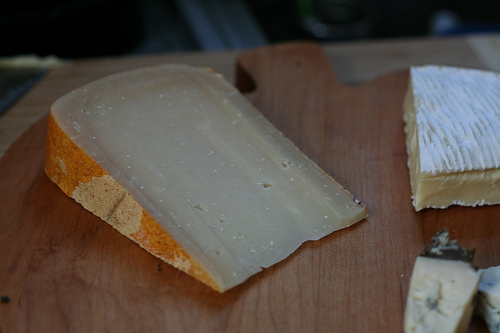 Tumalo Farms is a recent addition to the American artisan cheese scene. The company was founded by the Flavio DeCastilhos family in 2004. This was the year that Flavio left his post as one of the founders of a leading medical software business to seek a more serene life in the country. 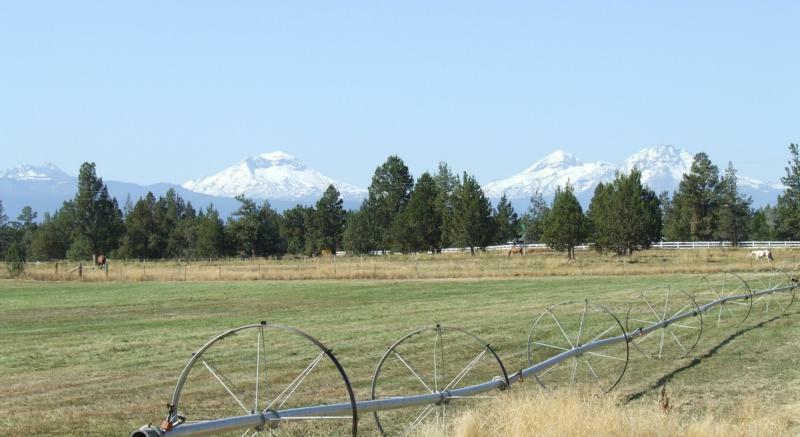 He struck gold when he found an eighty-four acre tract of raw land near Bend, Oregon. After locating the best site for a house and a barn, Flavio hooked into the electrical grid, found water and began to cultivate pastures. Next, he purchased 180 dairy goats to begin an new enterprise-cheesemaking. Flavio approaches the cheesemaking process as a harmonious union of art and science. His love for Van Gogh brought him to Holland, where he experienced a deep appreciation for well- made, traditional Goudas. He then embarked on a cheesemaking journey guided by knowledge gathered there. The Tumolo Farms goat herd has grown to a substantial size over the years and the DeCastilhos are now milking over 700 French Alpine and Santa goats making theirs the largest herd in the Pacific Northwest. Rimrocker, named after the rocky bluffs that line the edges of the land, is a blend of cow milk from a neighboring farm and the goat milk of Tumalo Farms. Semi-firm with a thin, burnt-red rind, Rimrocker certainly makes a statement on the cheese counter. Its buttery yellow paste has an aroma reminiscent of aged Parmesan with hints of roasted nuts. The flavors are smooth and savory, offset nicely by a bit of tang, and a rich, deep finish.